The Congressional Budget Office (CBO) and Government Accountability Office (GAO) principally serve congressional committees with a variety of reports. The Congressional Budget Office assists Congress in understanding the economic and fiscal environment in which it makes laws and in understanding the economic and fiscal consequences of its legislative actions. 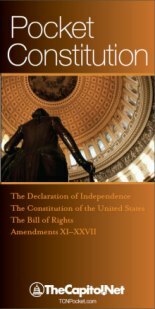 The 1974 Congressional Budget and Impoundment Control Act (P.L. 93-344; 88 Stat. 297–339) created the Congressional Budget Office to serve as an independent, nonpartisan agency to provide budgetary information and analysis for Congress and requires CBO to prepare cost estimates on all public bills. 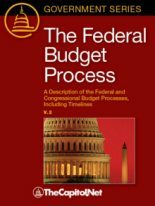 Since its founding in 1974, the Congressional Budget Office has produced independent, nonpartisan, timely analysis of economic and budgetary issues to support the Congressional budget process. The agency’s long tradition of nonpartisanship is evident in each of the dozens of reports and hundreds of cost estimates its economists and policy analysts produce each year. CBO analyses do not make policy recommendations, and each report and cost estimate discloses our assumptions and methodologies. 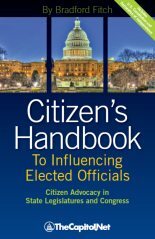 All CBO employees are appointed solely on the basis of professional competence, without regard to political affiliation. 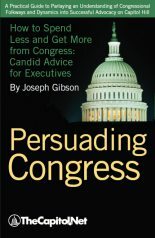 The Congressional Budget Office (CBO) explains its nonpartisan role in congressional policymaking as “helping the Congress formulate a budget plan, helping it stay within that plan, helping it assess the impact of federal mandates, and helping it consider issues related to the budget and to economic policy.” CBO’s mandate originated in the Congressional Budget and Impoundment Control Act of 1974. Its director is appointed jointly by the Speaker of the House and the president pro tempore of the Senate to a four-year term. In assisting the Budget Committees in preparing the annual congressional budget resolution, CBO prepares economic forecasts and projections, baseline budget projections, an analysis of the president’s budget, and policy options. For most bills reported from committee, CBO prepares a cost estimate. It then tracks those bills and performs scorekeeping, a tabulation of the cumulative impact of congressional spending and revenue decisions. It also performs other economic and budget analyses and prepares policy options, often at the request of a specific committee. Finally, under the Unfunded Mandates Reform Act of 1995 (109 Stat. 48, 2 U.S.C. 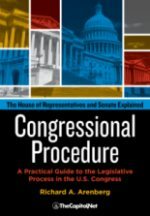 Chapter 25 – Unfunded Mandates Reform), CBO is required to provide committees with a determination of whether a reported measure contains a federal mandate, make an estimate of the direct costs of the mandate if specific criteria are met, and assess funding provided or needed to cover the mandate’s costs. A CBO document notification service is available. 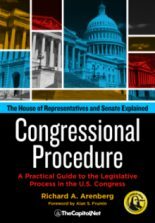 Also see Appropriation; Cost Estimate; § 4.130 Legislative-Branch Support Agencies, § 6.60 Committee Reports, § 7.10 Key Budget Process Laws, § 8.201, Unfunded Mandates and Congressional Procedures, in Congressional Deskbook.